I didn't get nearly enough sleep this weekend. Friday night, our baby girl was miserable and crying of and on throughout the night, so needless to say, I didn't hear my alarm to get up to exercise. I also took my regular rest day on Sunday, so I had a nice break. I woke up bright and early this morning. Okay, maybe not so bright. To tell you the truth, my eyes are stinging and I feel as though I'm going to hurl. But, I know, once I start working out, that will all go away. I need to press on. I need to pray for the strength to press on. Now down to business! On the plus side, I got down to 144.8! Woooohooo! I'm starting to get tired of the name of this post. BOR-ING! How about "AP Day 16: Title goes here." Yes. I like that better. I will use that format tomorrow. :) Well, as far as the workout goes, I am really enjoying the cardio. I'm doing interval training with short bursts of kick-my-backside levels of energy used. 45 second "level-7-can't-finish-sentences" intervals with 90 second "Phew!- I'm-still-alive-and-going!-Can't-wait-for-the-next-45-second-interval!" intervals. This workout is really invigorating. I have never sweat so much and you can use it will any form of cardio exercise. I am using it on the elliptical and I am no longer bored with my work-out! Going Down. S-L-O-W-L-Y. 146.0...it was stuck in between 146.4 and 147.4 for a loooong time. That's all for now! I know I've mentioned this before, but I'm going to mention it again...water is so important. Our bodies need a lot of it, especially if you work out and live in a dry climate. I need more than 100 ounces a day, and sometimes I just don't drink THAT much water. The last few days, though, I have been chugging it down. There is such a difference in the way I feel throughout the day, especially in the later afternoon. I don't feel the need to snack. I also don't feel the lack of energy---the afternoon slump----that I usually do. If you would like to calculate the amount of water you should be drinking, click here to go to the hydration calculator. I took a day of "rest" as indicated by the workout in the Fitness Magazine, so I didn't get up really early and I didn't post! This week I hope to loose at least one pound. I mean, come on...I'm doing everything I could to loose! I don't have much time to post because I need to get my workout in before the kids wake up! The scale still isn't budging. You may be saying, "Well, its only been 10 days!" But, that isn't true. I've been doing almost everything you can to loose weight for well over a month now. I suppose my exercise is more consistent now and my calories are being counted more often. I've gone organic with a lot of fruits and veggies and most meat, and all dairy. I drink the water I should on most days. I don't eat processed foods. I choose healthy food and healthy portions. So, here's the deal: If I am doing everything I can to loose weight and the scale still won't budge, all I can do is keep on doing what I'm doing, with the hopes that this weight loss will kick in soon! I went to bed earlier last night, so I'm hoping that makes a difference in the way I feel this evening. The last few days, I have felt I needed to go to bed around 8pm, but couldn't due to parental responsibilities. :) Troy put Jackson to bed last night, so I was able to get in bed around 9pm. Thanks, Troy! Now I am up and at 'em! I AM SO TIRED. 5am is early. I need more sleep. I'm trying to fight off these thoughts as I head off to exercise. They aren't just thoughts, though. I AM TIRED. I DO need more sleep. I usually get less than 7 hours a night and its starting to wear me down. During the week, I get up at five, so that means I need to head to be around 9pm. That rarely happens when putting Jackson to bed! I need to start doing that earlier. 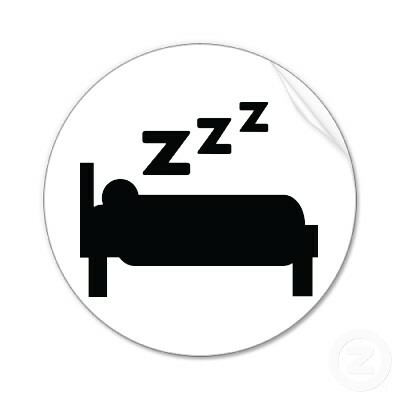 I know lack of sleep could relate to lack of weight loss. Alright. The scale budged. It budged back to 146.4. Now, I know it doesn't always matter what the scale says, but in the case I know the number on the scale does effect the way I fit into my clothes and so on. I was prepared to be bummed out again in regards to seeing upwards of 147. So, I was pleasantly surprised. I can actually see my abs getting flatter now. I'm actually on my 3rd week of a specific ab workout from my Weight Watchers Magazine. Its good to see results, I suppose, even if those results aren't really showing much on the scale! Sigh. I may feel thinner sometimes, but the scale sure isn't showing it. In fact, it seems that it went up a bit and has been stuck there for a week. It has been stuck between 147.2-147.4 and I can't get it to budge. I am praying the Lord gives me patience and perseverance. I can't do this without His strength. I need it to keep getting up before the sun does so I can have time to work out. The verse in Hebrews reminds me of that. I thank the Lord that he cares even about these small desires of mine. That is amazing. The great God of the entire universe cares about that. I started a new workout program this week from Fitness Magazine's September issue. It claims you can "reach any goal" with the workouts and the eating plan. I haven't done the eating plan yet, and probably won't since its made up of stuff my kids won't or can't eat. The gist of it is 1500 calories a day, 300 of those made up of two 150 calorie snacks, and meals are 300, 400, and 500 calories. So, I figure if I am eating healthy foods at healthy portion sizes, I will be good to go. Also, I need to remember and make time to snack. Planning ahead is key. My favorite snack right now is Trader Joe's Lowfat Plain Yogurt slightly sweetened with a teaspoon of Truvia and a 1/2 teaspoon of vanilla, and topped with Trader Joe's frozen organic wild blueberries. Mmmm. Oh, and also a hot cup of PG Tips tea with a wee bit of lowfat milk (yes, you guessed it...the organic kind!) and a teaspoon of Truvia. 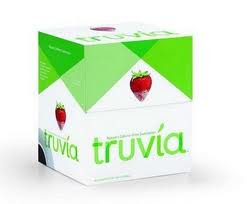 Speaking of Truvia, have you tried it? Its really great stuff. It claims to be natural. No calories. And, to Troy and I, it tastes more like sugar than the rest of the sweeteners out there. Okay. This is really sad. I forgot all about the accountability posts for a week now. I know. Pathetic! I have exercised this week, though, and I am up early this morning to do just that. I don't want to waist too much time on blogging this morning because I have a 1 year old who will no doubt be up in an hour or less and a 2 year old who will follow shortly after. I still haven't lost any weight, which is frustrating. I am going to start writing down everything I eat will the hopes that doing that will give me a jumpstart in my "diet." Speaking of "diet," I'm heading to the farmer's market this morning to pick up some fresh, mostly organic produce. YUM. Trying to eat more of that! Okay...I'm off to read some scripture, then off to exercise!